Photo taken by Frédéric Brenner, courtesy Howard Greenberg Gallery, New York. I’m the one holding the far end of the scroll, in the white skirt. This picture was taken over ten years ago. I am looking out over a sea of yellow, green, red and orange from the fourth story window of my father’s Denver apartment. The Rocky Mountains are visible in the distance and I can even see snow on the high peaks. The sky is blue with clouds. My father (who is 91 and super healthy) and his wife Judy are napping. I am wide awake and feel energized. My time here in Boulder and Denver has been packed so full that even trying to describe one event will take me many pages. I will be finding ways to share parts of this story as slices of a much greater pie. The last word of the Torah scroll is the word Yisrael, and the first word of the Torah is the word B’reishit. The last letter then is an “L” sound, which is the letter Lamed. The first letter is a “B” sound or a “V” sounding letter named Bet or Vet. It is a letter with two names and sounds and considered one letter. It has the numeric value of two. The Lamed has the numeric value of 30. Lamed is the tallest letter in the Hebrew alphabet, and it reaches up towards heaven. When you put the lamed in front of the bet/vet, you get the word “Lev.” Lev, in Hebrew, means heart and mind or heart/mind. It is not the word for brain. There’s an ocean of teachings in this, but I’ll stick to a strand of seaweed right now. Our exercise in reading the way we do is to remember and highlight that the entire Torah from end to beginning and beginning to end is about our hearts. It is a journey through the Lev that brings us into relationship with each other, the planet, our teachers and all of creation in a joyous dance of loving-kindness, righteous and just society, goodness, compassion and forgiveness. Before we read these words of Torah in their completion and beginning, we’ve danced the seven times around our congregations with them as our dancing partners. We form a procession of joyous folks following the scrolls and their bearers around the buildings we pray in. Or, we do seven joyous dances around and around like whirling dervishes for as long as we can. I found myself at Nevei Kodesh, the Jewish Renewal congregation in Boulder, where my friend Rabbi Tirzah Firestone was leading the services. All of us in the Jewish Renewal movement are still in deep mourning for our beloved Rebbe Zalman M. Schacter-Shalomi, may his memory be for a blessing. So, our prayers were laden with tears and honoring of him and it was so wonderful to be with a community of folks all collectively mourning his death, but also celebrating his legacy. So, in honor of our Holy Torah, we danced for several hours with the two scrolls we had and we were pumped and JOYOUS! The wonder continued beyond my wildest imaginings and became extraordinary as the evening unfolded (literally). Rabbi Tirzah’s community chose to unspool the entire scroll with all of us present. 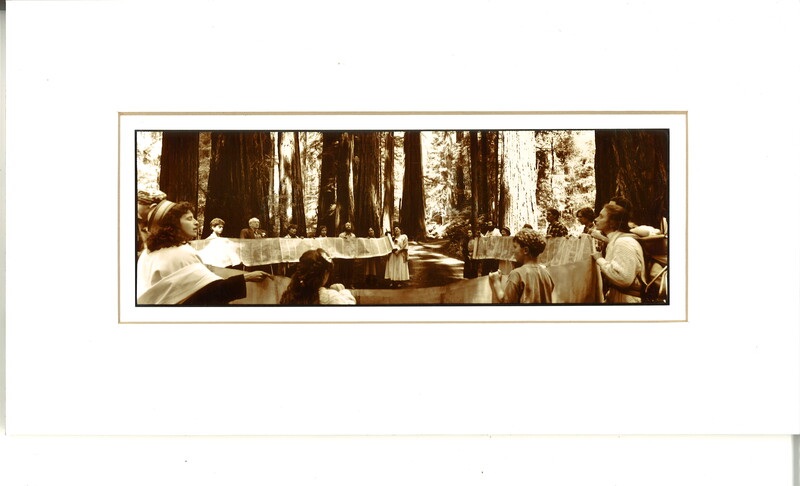 We were instructed to form a gigantic circle, there were between fifty and seventy folks in this large Torah holding circle. Each of us stood shoulder to shoulder with our hands out in front of us and as the scroll was unwound in front of us, we held the top inch of it. We had to be careful not to touch the text and only hold onto the parchment at the top. This is a very intense and rare thing, the scrolls are extremely sacred, fragile and imbued with tremendous meaning. It takes a great deal of trust and faith for any congregation to do this. If a Torah scroll accidentally falls often the entire congregation has to fast and do penance. The Torah scroll is not a book, or a piece of parchment alone, it is considered sacred in and of itself and it feels that way to anyone engaging with it. In our imperfect human circle, there were gaps where some people were too far apart from each other and places where some folks were closer together. I moved three times, going under or around the scroll to attend to these gaps. I am acutely aware of the Torah, in my body and blood and could not tolerate or hold the place of trust about these gaps in the circle. It was literally impossible for me to not go try and make sure that the tension in the scroll was not too great, behaving as is my nature, and being a Jewish mother to the Torah scroll, not just to the people holding it. I helped a little boy get on a chair because having him hold our sacred scroll was too awkward from his height and he really wanted to hold onto it. So, we, his mother and I, had to keep moving him, and the chair and asking the people next to us to hold our parts for us while we helped him be able to also participate. This was one of many spectacular moments for me, being next to this little boy and his excitement about being able to participate, which he would not have been able to do if we hadn’t figured out the chair for him to get him up to the right height. The circle was somewhat liquid at first until it was all figured out, which took about twenty minutes. By the time I was not helping someone or making sure there wasn’t a gap I found myself by the end of the scroll. I was shoulder to shoulder with some very stoned young men. They were very aromatic and smiley. This did not reassure me, but they looked capable and blissful, so I just kept checking in with them. Why did the whole scroll get unrolled? It’s a special thing to just witness, but Rabbi Tirzah and several other Torah readers wanted to give all of us something brilliant. They went around to each person, Torah readers on the inside of the scroll, with us Torah-scroll holders on the outside. We were instructed, individually, to remove one of our hands and point somewhere we couldn’t see in front of us on the scroll. The Torah readers then read for us a few lines from where we had pointed. So, we each got our own unique special Torah reading. If you’ve been following my Jubilee series, you will understand why this felt perfect for me. I am planning to go away for a retreat and I am actively looking for the right “land.” I know I am not going to do retreat in Israel, but this piece of Torah was telling me to be strong and courageous. To trust and to not fear, that the land will be given or shown to me and that I should not be dismayed. This is amazingly helpful for me. The piece about the Torah being given to the Kohanim (the high priests) and the descendants of Levi and all the elders of Israel resonates as well. I am a Kohen, which means I am a descendant of the Kohanim, and as one of those descendants, who is deeply engaged with this handed down powerful scroll, I find it holds me more than I ever have the chance to hold it. My several hours of dancing with our Holy Torah and holding it and watching over it were a small fraction of how I am held and danced and dreamed and nurtured by Torah. To be on the safe side, since interpretation of our Holy text is very complex, let me ask outright for help. In case you happen to know where the Holy One has put that land for me to spend silent retreat away from people on, please let me know. I am moving closer to this place, and like my ancestors, it is not something that is clear to me. Is it over the next ridge or around a corner or at your vacation cabin? This is a place I am coming to and journeying to, but have not yet found. Please use the contact form here to email me if you are aware of or have the perfect place for me to spend a few solitary, quiet months of retreat and prayer. May all your dancings and movements bring you closer to your Lev Tahor, your pure heart! Well Love, that was a good way to get the word out! And how delightful to see a picture of you doing what you described to me. What a lovely surprise to read your words about your Simchat Torah visit to us in Boulder! Seeing you and dancing with you was magical and holy, and your account gave me both chills of recognition and laughter. Remember, smoke is legal here in Colorado! May your retreat, wherever it takes you, be strong, clear, guided. Shechinah will be with you; She will not release you, nor forsake you; so do not be afraid or dismayed.’ May your fire burn brightly!